The cap fits perfectly on the barrel when writing and returns to close the pen with a satisfying click. 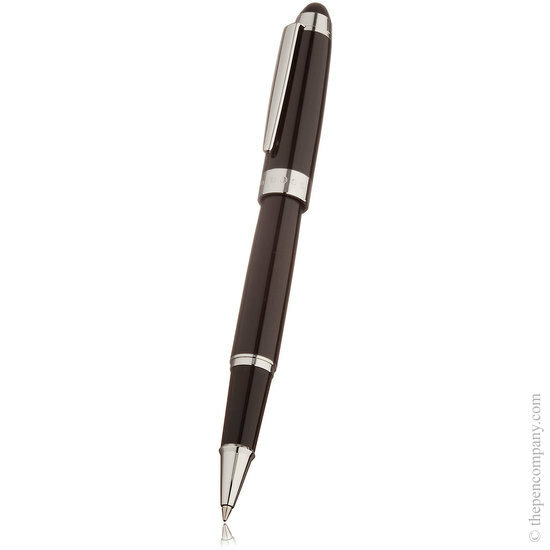 Accepts standard rollerball refills and comes complete with a black Hugo Boss refill. 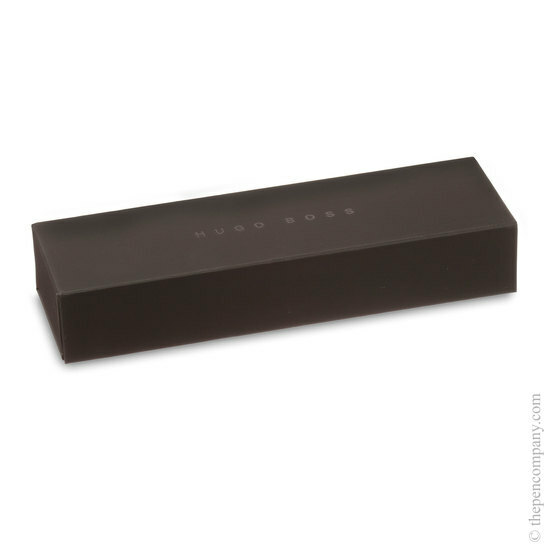 Presented in an attractive matte black box. 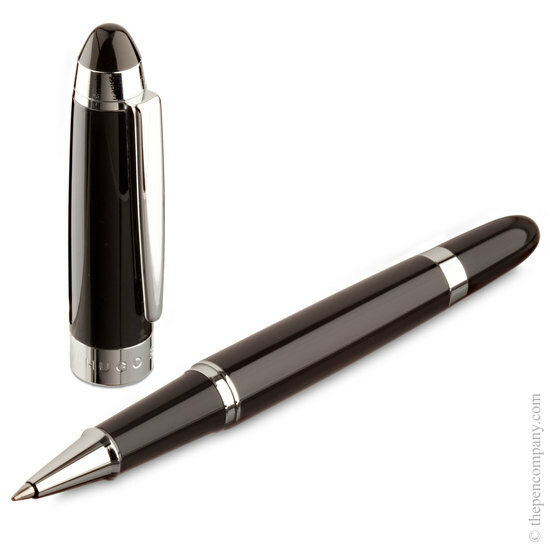 These pens are constructed from metal and then lacquered in gloss black. 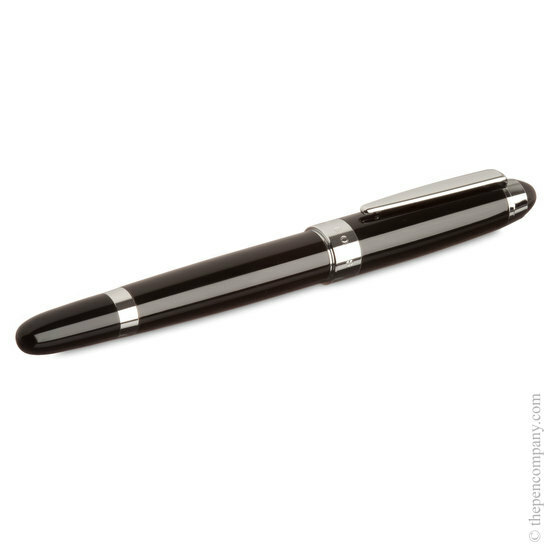 Engraving is filled with a silver leaf paste to match the trim of the pens - the text will be silver.